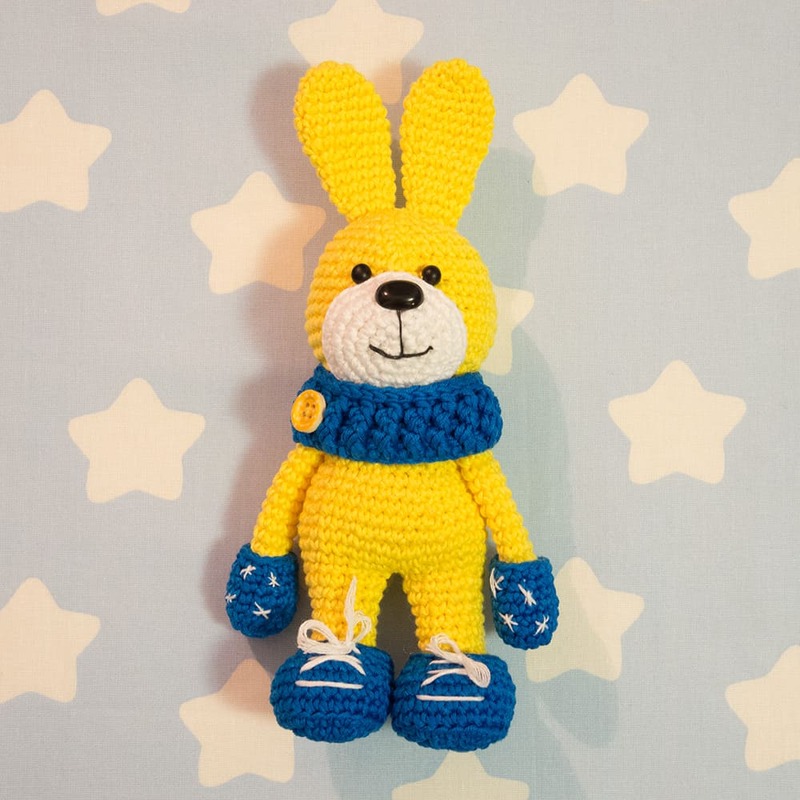 This is a pattern to crochet a sweet and innocent amigurumi wolf, an adorable friend of your child. 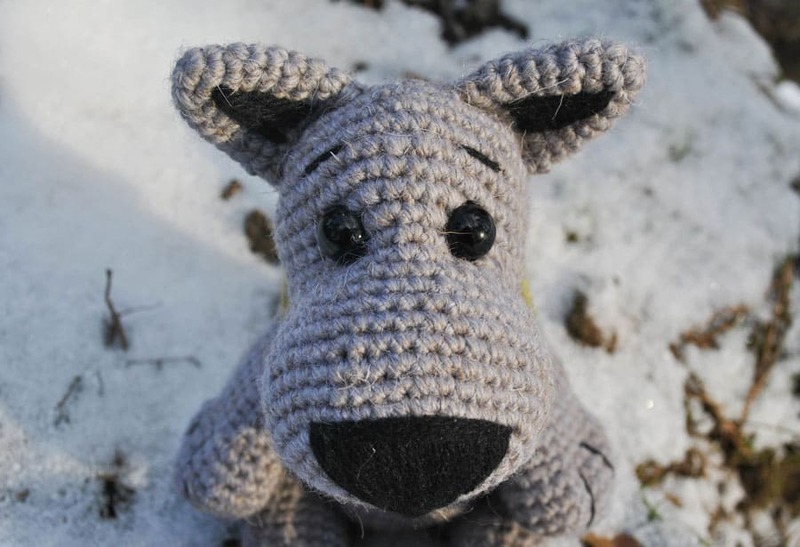 The size of finished crochet wolf is about 26 cm. Be aware that size may vary depending on the yarn and hook size used. Gauge is unimportant for the pattern. 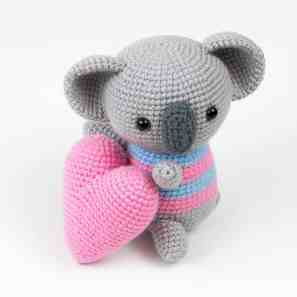 If the parts are crocheted tightly enough, they will keep the required shape well when stuffed. You can make a little test to be sure your hook is suitable. Stuff the head shaping the muzzle. Rnd 29: close the opening and hide the end. Fasten off leaving a tail for sewing a head. Stuff. Stuff the arms but not firmly (stuff firmly only paws). Rnd 20: decrease till the opening is closed. Fasten off leaving a tail for sewing. Stuff the legs but not firmly. Rnd 17: (dec) repeat 5 times, close the opening and hide the end. Fasten off leaving a tail for sewing. Stuff slightly. 1. Sew button eyes before the nose (look attentively at the shaping). 3. Cut out 2 small triangles from black felt and sew them on the inner part of the ears. 4. Pin the ears to the head, and if you like the position, sew them on. 5. Place head on top of body (use pins), and using the tail left over from the body, sew the head on place. 6. 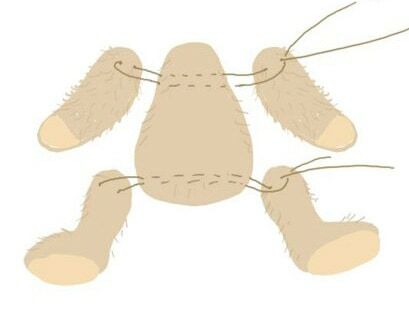 Shaping paws: using black thread, embroider two lines that stretch between the fingers/toes. Pull thread tight creating the shape of fingers/toes. 7. Attach arms and legs using thread and tapestry needle (see the picture below). Do not insert the needle through the limbs, but seize only the inner part of the limbs. 8. Sew tail to the body. 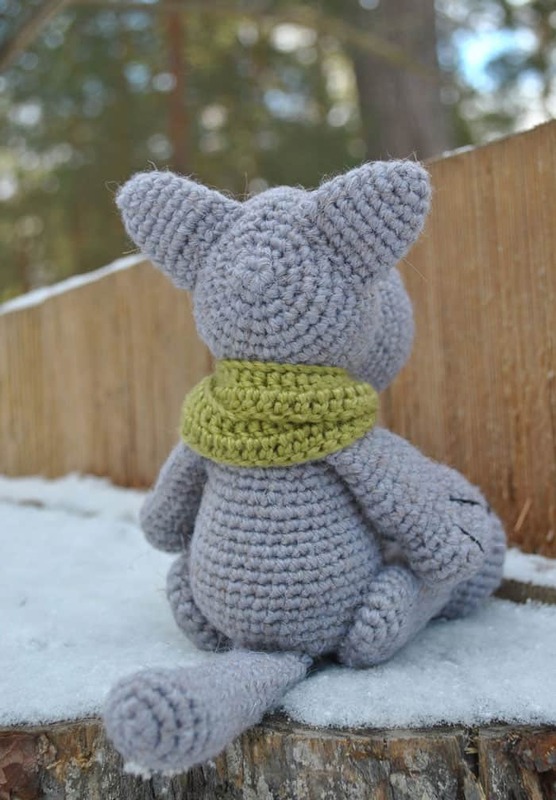 If you want to make a snood for your amigurumi wolf, please crochet a chain of appropriate length (try it on the toy), then crochet two rows of half double crochet stitches. Sew the ends of the snood when it’s on the wolf or make a button and a loop as a clasper. I used Big Twist, Medium Denim, med 4, 371 yards. 3.5 mm hook with tight tension. I have plenty of yarn left over. To the others that asked about the nose; I crocheted a ‘triangle’ out of sc instead of embroidery. It looks great. I improvised with increases to get the size right. It’s about 6 sc rows and 10-11 stitches across at the top. How much yardage is needed for the wolf. It depends on your yarn weight, hook size and tightness of stitches. Hi Jay 🙂 Which round you were stucked on? Just finishing up the head. It should be stuffed, correct? At what point would you suggest? It will be too tight by rnd 29. I also would like more direction on where to stuff legs and arms as well as where to place them. 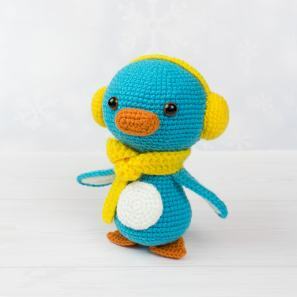 This is my first attempt at crocheting an amigurumi. Usually I knit, and am used to more specific directions regarding stuffing, and placement of appendages. 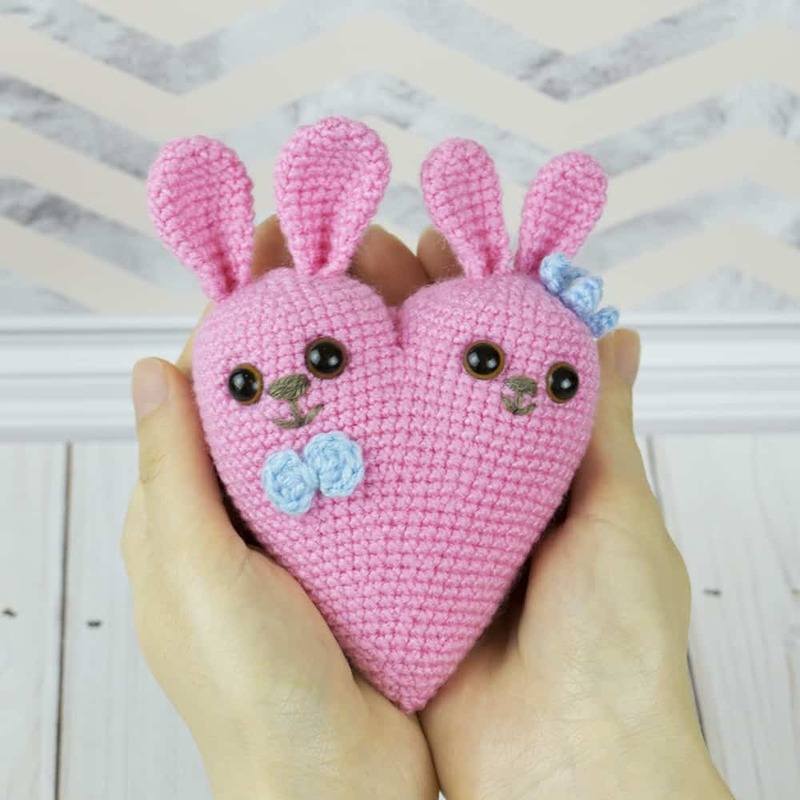 Very cute pattern, though. I love the face. Hi Val, stuff the parts as you go. Note that you should crochet tightly enough so that stuffing wouldn’t look out through the stitches. 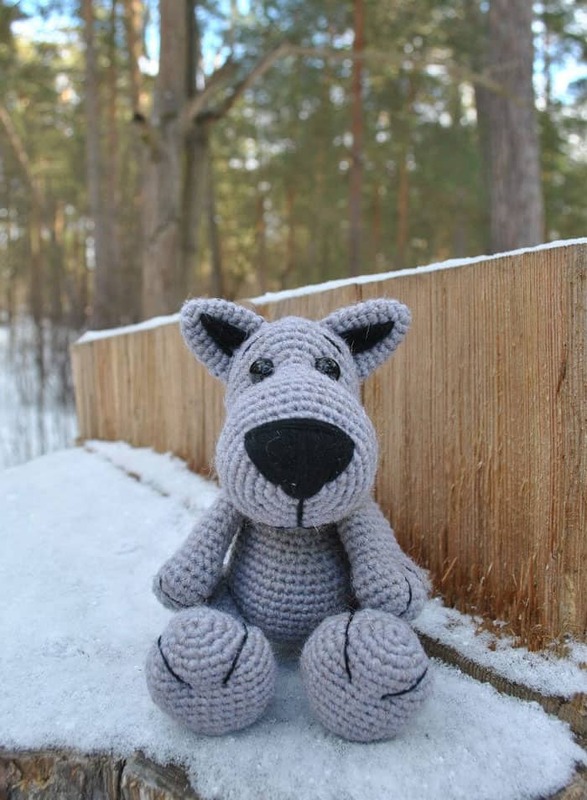 Hi, I love your toys and currently working on my 1st one, this cute wolf. I was wondering how to do the nose. 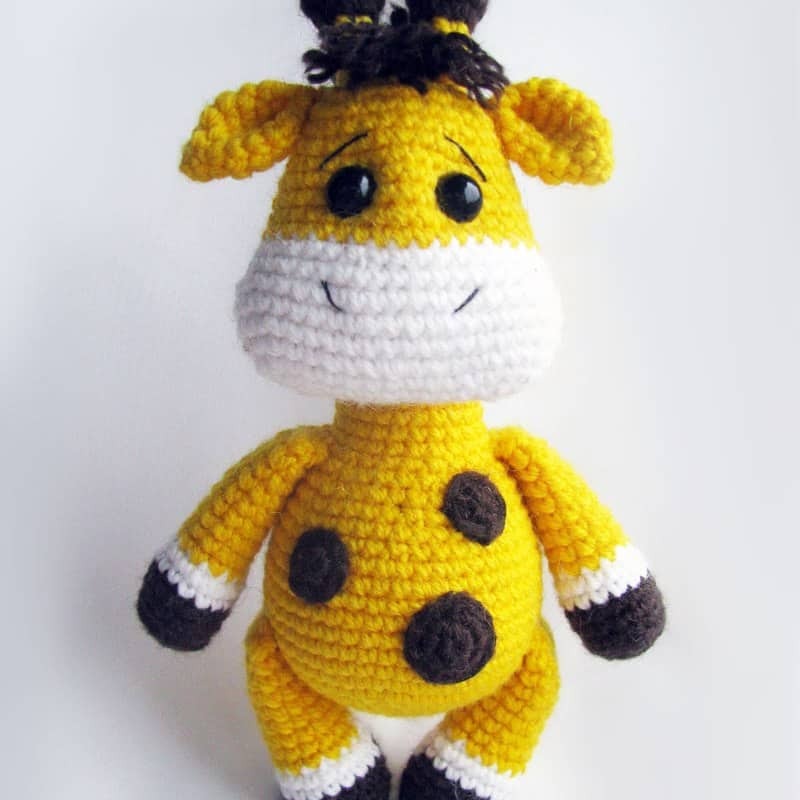 Did you just sew the yarn to form it? Thank you. Hi Blaire, it wasn’t counted, sorry. I think the shape of the head can suggest where. I am confused about rd 20 of the body. I get 25 st but the directiins show I should gave 24. 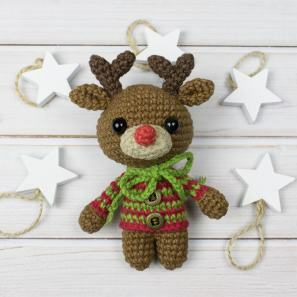 I love too crochet, great patterns.